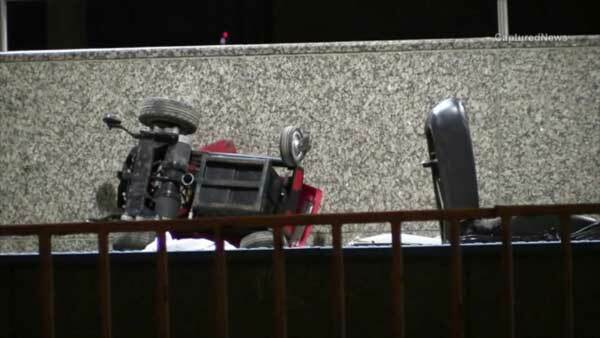 ROSEMONT, Ill. (WLS) -- A woman is recovering after she fell onto the tracks at the CTA Blue Line Rosemont station. She was waiting on the platform on an electric scooter when it fell. Train service stopped while crews rescued her. The woman was taken to the hospital in stable condition. There is no word on why her scooter fell.